This XL has full of MSC hand made mojo and ready so serve you for life and be handed down to your kids (well if they are worthy). This one has some extra bite thanks to the serrated section of that killer blade! 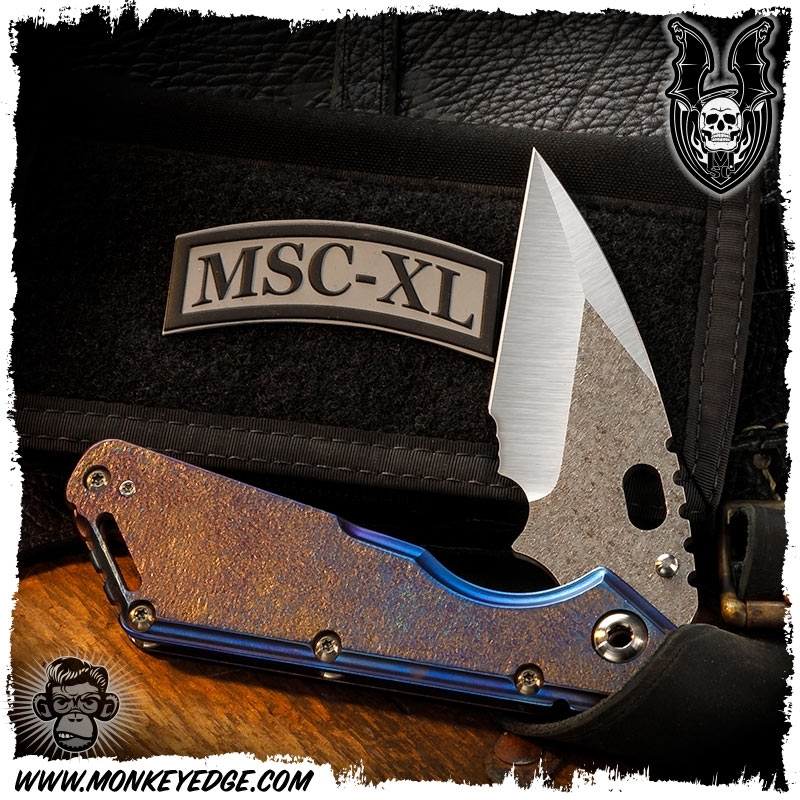 The Blade: We don't think we've EVER seen Mick ground out a Wharncliffe XL before Mick did up a couple for USN GX! 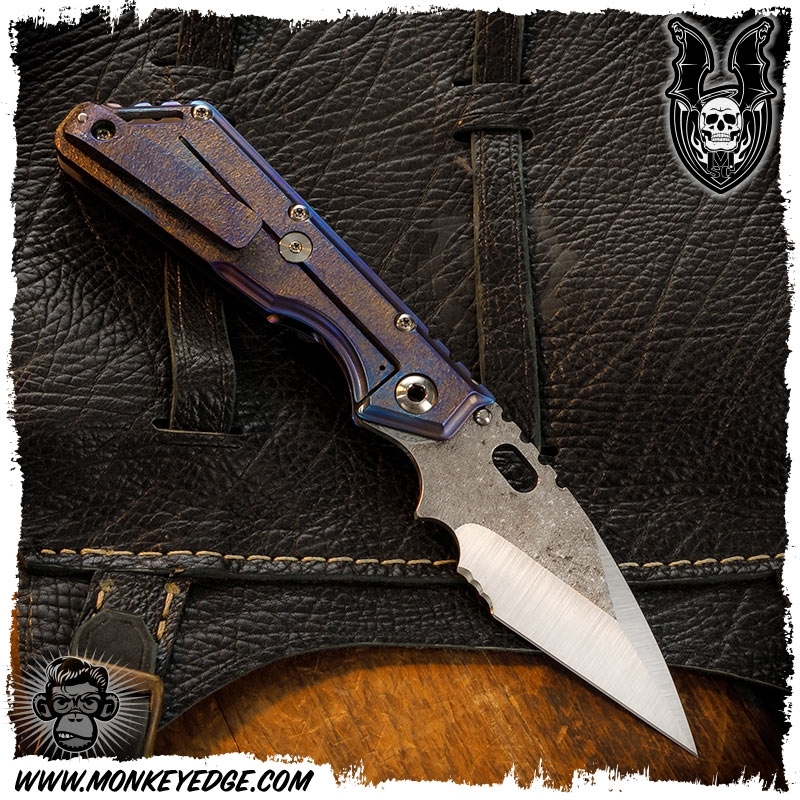 Wicked wharnie grind with upper swedge makes for one nasty blade. This one's even partially serrated, somethin' we've never seen before! Combine that with the contrast of Mick's new texture on the flats with those satin grinds, and you have some hand crafted MSC magic. 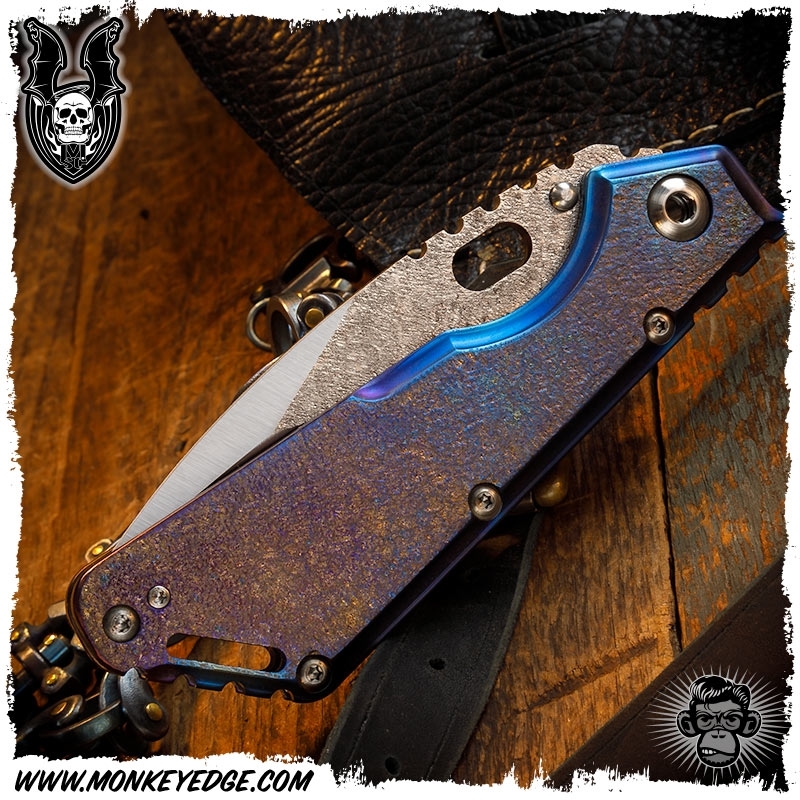 About that texture: Mick has been using some crazy, secret, 'Manhattan Project' machine that not only can texture the metal, but also can actually impregnate other metals onto the surface. It's super hard to capture in pictures as it it changes with the light. 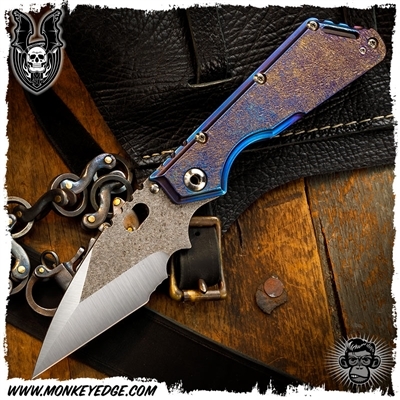 However, the blade flats are textured with copper deposits. This texture is even on the top of the spine and jimping. The Frame: Science or magic? Hell if we know! However, Mick's Manhattan Project strikes again on the frame where almost the entire frame has been hand textured. The flats of the frame have been given a 'magma' treatment where copper has been 'melted' on them. 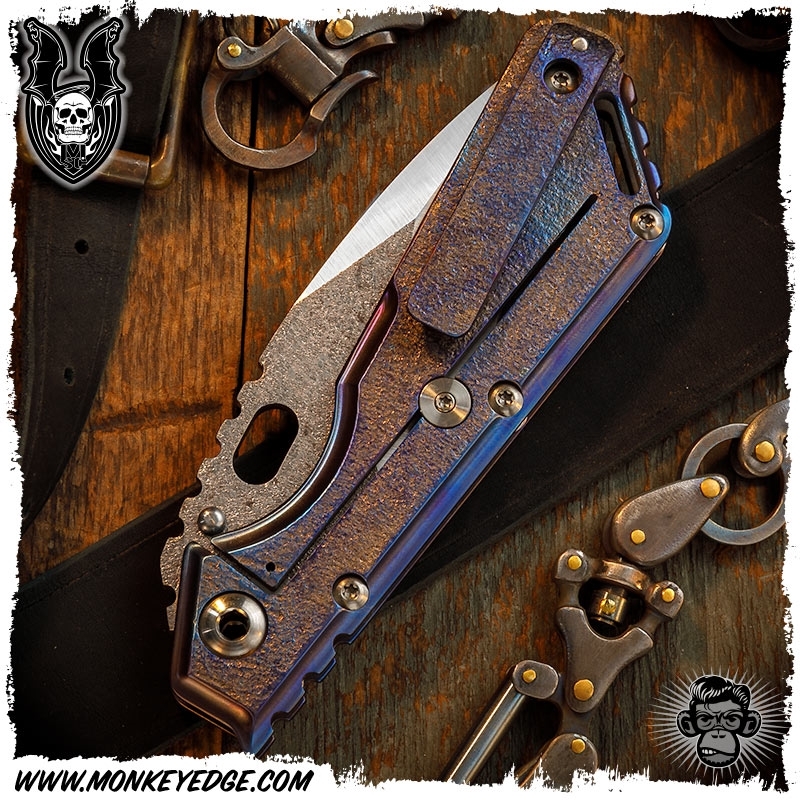 Not only does it have a super cool steampunk type vibe to it, but the texture feels GREAT in the hand while not being aggressive. 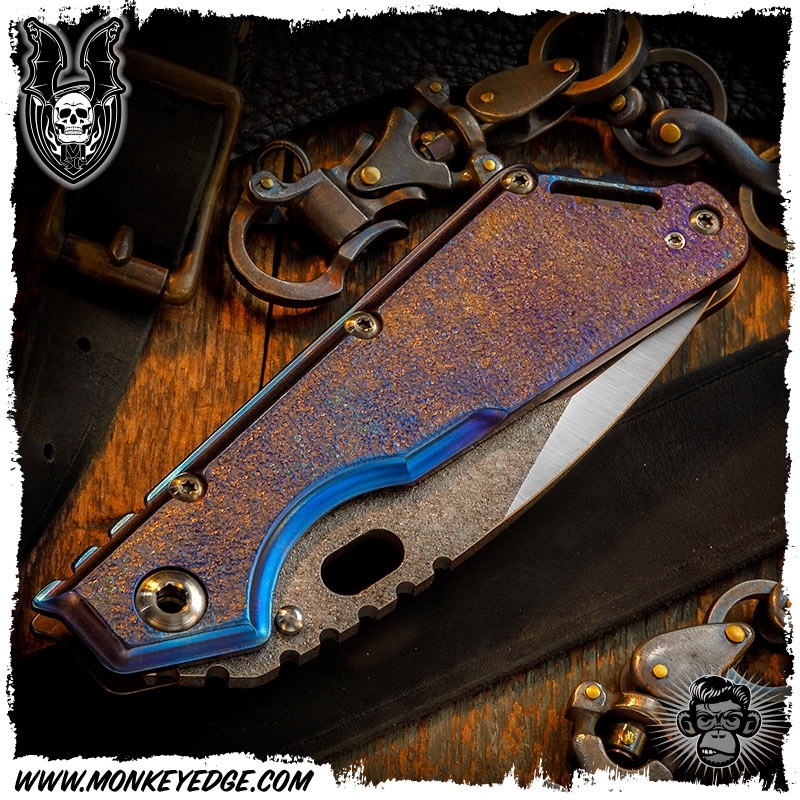 Mick gave this one his Magic anodized finish for some multi-color goodness, that mixed with the Manhattan Project really changes and pops in the light. The edges of the frame and bevels are finished with a brighter satin orange peel finish that pops nicely. 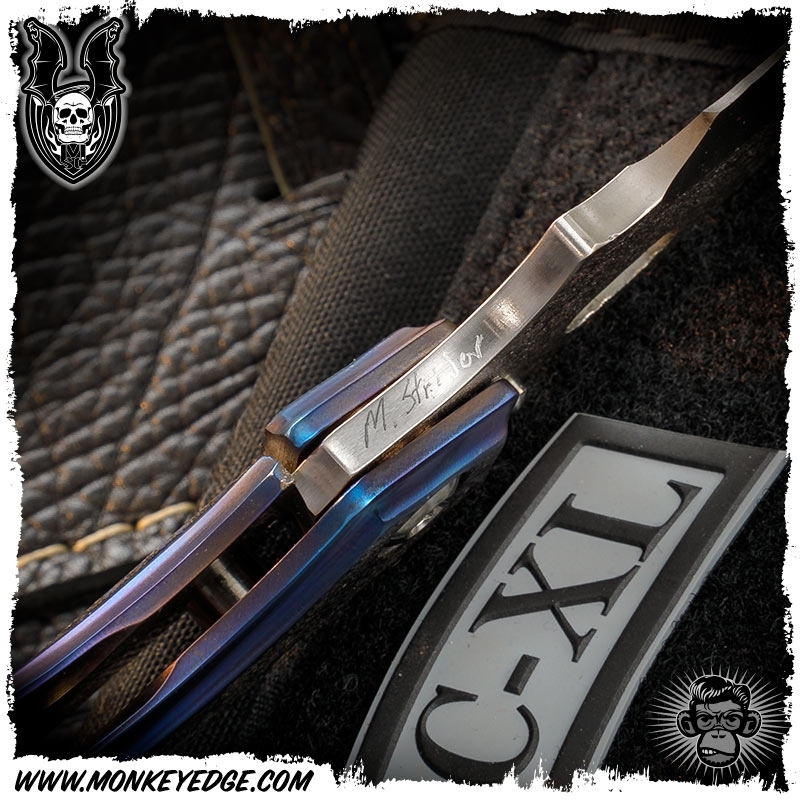 Notice the clip is Mick's custom machined 'beefy clip' that is typically only found on his higher end XL's. It has also been given the full 'magma' treatment and can be reversed for either side carry.